What if sharing about a mother’s love and compassion could compel a small community to make a difference for clean water? This the story of how one little idea and one amazing mom would inspire a wave of generosity. As Let Them LOL’s annual Running Water 5k/Walk approached in 2017, Josephine, (a LTLOL volunteer) registered and began spreading the word even while she was still away from her Buffalo home and among friends in Florida. She got creative and began making paper chains to ‘sell’ for display at the finish line in order to help earn support for her walk! As she sent out emails and discussed the problem of dirty water with friends, the donations began to come in. She would call and share about each and every gift over phone calls with her daughter, as they chatted excitedly over any amount raised toward a cause that had grown to mean so much to both of them. Time passed and the walk was quickly approaching. 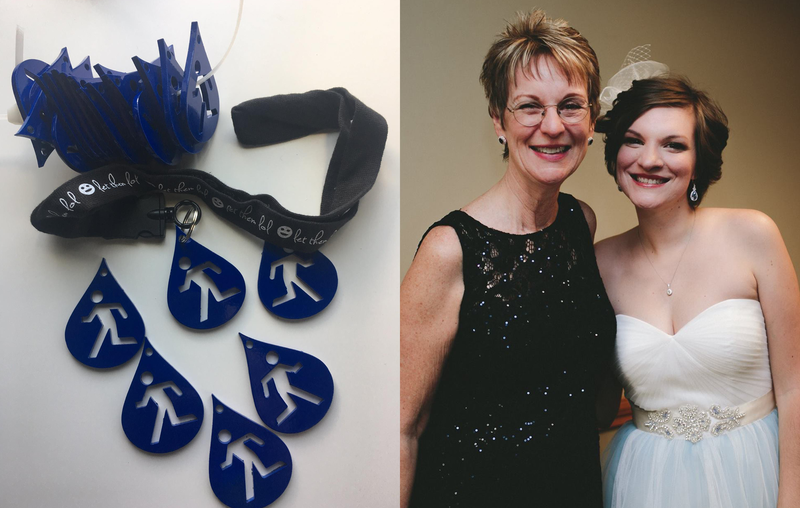 Thinking about her mother’s hope to get a little closer to her fundraising goal, an idea began to form in her daughter’s mind: What if people on social media – even people who had never met her mother – heard about the kind of person and mom she was? Maybe they would be willing to step in and help fundraise for her walk! Even if just a few people donated a few dollars unexpectedly, she knew her mother would be beside herself, and there was no risk in trying! Her daughter decided to go for it. On the morning before the walk, she put together a post telling about her mother Josephine’s compassionate heart and excitement over any amount raised so far; she explained the goal of raising $1,000 total and invited people to help give any amount. She shared the link to donate, and encouraged friends and family how any additional gift would surprise her mother with some added motivation, a reminder that she really is making a big difference just by being the person she is. She held her breath, said a prayer, and published the post, uncertain if she should expect anything in response but trying to hope for something exciting. Almost within moments the first donation came in from a friend. This $40 gift brought her total to $210. Then another…and another: $320! What began as a vulnerable hope grew into an unimaginable day of pure disbelief. Her daughter then spent every hour running back to her computer to refresh the fundraising page, watching through tears of gratitude as donations flooded in from family to acquaintances, loved ones to old high school friends. There were comments encouraging her mother on her walk, and for being the wonderful mom she is. The total increased steadily throughout the day and her daughter laughed to herself imagining that moment when Josephine would check her email, notice a flood of donation notifications, and realize something was going on! That call came in the evening as mother and daughter laughed, gushed, and cried together over the miracle of it all: by the end of that day the total had risen to over $700!!! Josephine was awe-struck, confused, and in utter disbelief – she asked how all of this was happening – her daughter joyfully described, “It’s because of you, Mom!” She explained how the post simply described the type of person her mother chooses to be, the compassion and love she displays with her life and how all of the people who gave simply saw this love and resonated with it. They decided to rally around Josephine because of the person she is and her love for others and for Sierra Leone. Her daughter pointed it out to people, but the outcome was all because of her mother. The whole experience became a gift between a mother and her daughter, a community and another across an ocean, a mother and a community she hardly knew. The gratitude all around was palpable, and the walk was the next day! Josephine got to work on the paper chain which she would proudly display at the finish line in honor of all her donors. It was getting quite long, now. Incredibly, donations continued to pour in even as the event began and Josephine surpassed her $1,000 goal (people were handing her daughter cash donations at church that morning)! Josephine rushed to the walk full of enthusiasm, arriving promptly… only to realize with dismay that she had accidentally arrived at the wrong address!!! She called friends in a frenzy, redirected, and finally made it to the walk, desperate to get started and full of concern that she’d ruined her chance to walk after all of this. LTLOL wasn’t worried though, we were thrilled to see her come and join in, able to cross the finish line in the joy of all that her walk represented on behalf of LTLOL, the people of Sierra Leone, and Buffalo, joining together in a beautiful display of solidarity and generosity as one community. I am overwhelmed at the response to Katie’s post!! I have never been very successful in fund raising. I had the idea to sell paper chain links to see if I could generate some interest, but even so, I was at less than half my goal. I appreciate each and every one who has donated, and will keep you in my prayers. 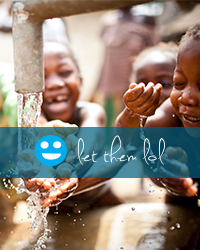 I know Let them LOL is appreciative, as are the people being helped to a better life in Sierra Leone. Race went well, and NO RAIN!! Please consider coming out and either running or walking — these are good people and it is a lot of fun! Again, Thank you! Thank you! Thank you! and may God richly bless each of you! In the end, Josephine won a prize for being the top fundraiser (which she felt very embarrassed to accept) all because of a community compelled by compassion, clean water, and a mother’s love (she’ll be walking again this year, if you’d like to surprise her again or join her!). We believe so many stories like this exist and we’re even daring to believe similar stories will arise for our Running Water 5k/Walk on May 6, 2018! Maybe it will be you and your family, friends, or team who shares the story with your community. Or maybe you’ll invent a creative way to try to fundraise and share about your passion for clean water in Sierra Leone! Whatever it is, and however big or seemingly small the impact, remember Many Drops Make A Mighty Ocean, so every drop matters! We are so moved and excited for each one of you who choose to be part of the community of LTLOL as you enter the story in your own unique way. We hope this story is encouraging to you, too. You are making a difference just by being you as you share the need for clean water and your compassion for others every single day. PS – Do you have an LTLOL giving story to share? Whatever size your ‘drop’, we’d love to hear from you. Reach out here!